Monotype print on writing paper from 1946. 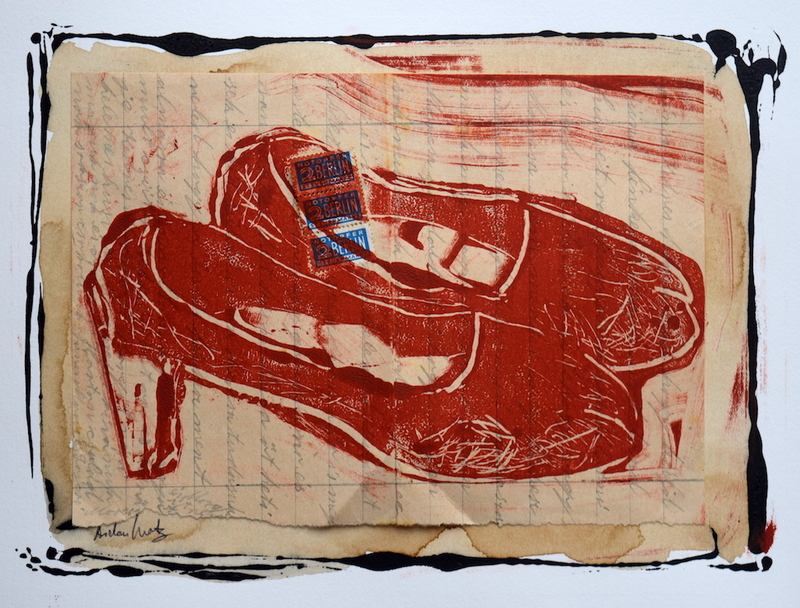 “My Mother’s shoes” is a tribute to the artist’s mother, who died last year. This monotype print is printed on a letter written by her to her own mother, the artist’s grandmother, in 1946 after she had come back from a prison camp in Russia.